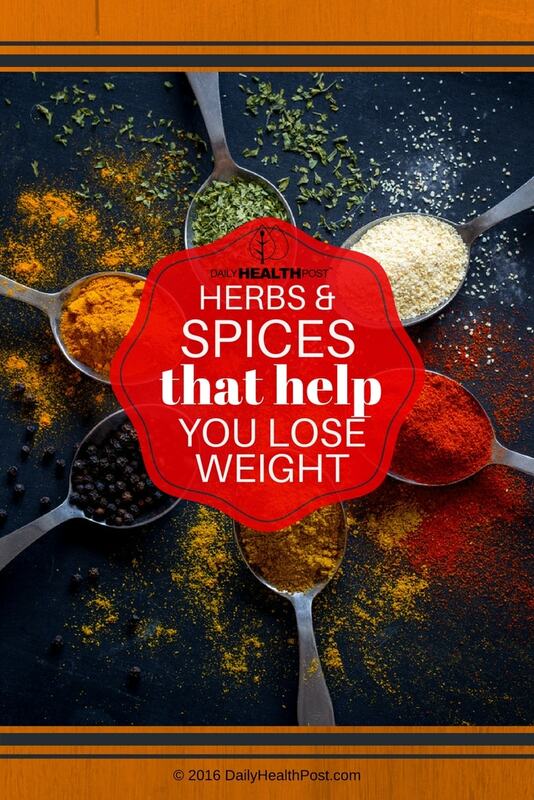 Add these herbs and spices to your healthy foods to reach your weight loss goals! Most commonly associated with Indian food, turmeric has been shown to help reduce inflammation, high levels of which may be a significant cause of obesity and difficulty losing weight. Liberally sprinkling cinnamon on your oatmeal can help to control your blood sugar and insulin levels, protecting you from diabetes while simultaneously managing your hunger. A compound in hot peppers called dihydrocapsiate has been shown to increase the body’s ability to burn fat when eaten three times per day. Fresh or powdered ginger may be able to help reduce your appetite and cut cravings. The substance in black pepper that gives it that peppery flavor, called piperine, has been shown to help the body burn more calories through the process of thermogenesis. Piperine can also help your body use nutrients more efficiently. 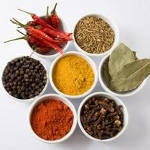 Coriander is a common ingredient in the Indian spice mixes that have been shown to increase metabolic function and heighten weight loss in animal studies. Similarly, although it hasn’t been studied by itself, cumin has been shown to improve weight loss when mixed with other herbs and spices. Several studies that looked at rats have shown that parsley can help to reduce the amount of glucose present in the blood. If this is true in humans, parsley would likely help to control appetite and promote healthy processing of food into energy. Multiple animal studies have shown that the herb panax ginseng can help aid in weight reduction, and even slow weight gain resulting from diets high in fat. Studies in rats have shown that cardamom can aid in lowering blood glucose and regulating insulin, as well as lowering levels of LDL (bad) cholesterol. Like many of the other spices on this list, cloves can help you lose weight by speeding up your metabolism and helping your body to burn more calories. Mustard seed seems to have a thermogenic effect on the body, causing it to burn more calories as it digests food. Beyond the mustard you might associate with hot dogs, try seasoning your food with powdered dry mustard seed for an extra kick! Adding garlic to your food in fresh or powdered form might be able to help you metabolise carbohydrates and fats more efficiently. Animal studies have shown, too, that garlic may prevent the body from creating more fat. Green tea is well-proven to have a number of health benefits. In addition to helping prevent cancer and diabetes, green tea can also speed up your metabolism and help you lose weight. A study published in 2009 found that the smell of peppermint can help to decrease appetite. In the study, participants who spent a week smelling peppermint before they ate generally consumed 1,800 fewer calories throughout the week than the control group.